Manav received a BA in Biology from Grinnell College, in Iowa, and received his PhD in Cell Biology from Yale University, in Connecticut. At Yale he investigated microRNA control of postnatal neural stem cell differentiation and survival in Professor Angelique Bordey’s lab. His first postdoctoral appointment was in Professor Josef Kittler’s lab at UCL in London, where he explored the neurobiological consequences of autism and schizophrenia candidate gene misexpression in vitro and in vivo. 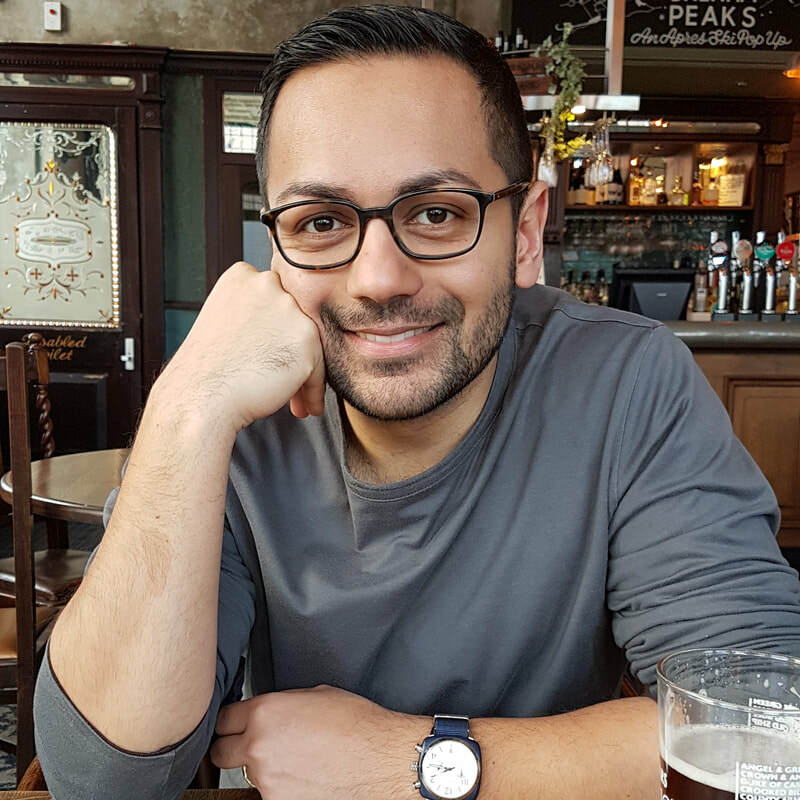 Following that, in his second postdoctoral appointment Manav developed in vivo models of paediatric high-grade glioma in Professor Paolo Salomoni’s lab at the UCL Cancer Institute. His current research focuses on understanding the role of chromatin remodelling in paediatric brain tumours. How does epigenetic rewiring support tumour initiation and maintenance? Do these mechanisms also contribute to the emergence of therapy resistance? Michael has recently graduated with a BSc from the University of Surrey where he carried out a wide variety of projects as part of a research-intensive undergraduate degree in Biochemistry. These included studying the DNA damage response in cancer cell lines with Lisiane Meira at Surrey, and the role of the opioid system and G-protein coupled receptors in addiction and associative learning in Brigitte Kieffer's lab at McGill. His undergraduate research has contributed to two publications with two more in preparation. In the Pathania Lab he will be working on understanding how histone mutations rewire the epigenome to induce DIPGs and the role of different co-occurring mutations in this process. Antonella received her MSc and PhD degrees in Biochemistry and Molecular Biology from the University of Rome Tor Vergata (Italy), where she also qualified as a Medical Biotechnologist. During her PhD she identified roles for specific proteins in cell cycle regulation, cell death and histone gene transcription with Professor Gerry Melino. Her first postdoctoral position was with Professor Vincenzo De Laurenzi at CeSI-MeT University of Chieti-Pescara, where she studied microRNAs in patient-derived breast cancer stem cells. Specifically, she investigated the function of particular microRNAs in cancer stem cell survival, differentiation and therapy resistance both in vitro and in vivo. Her work has resulted in a number of publications and productive collaborations. In the Pathania Lab, Antonella will bring her considerable cancer biology expertise to bear and probe the roles of chromatin remodelling complexes in paediatric brain tumour initiation, maintenance and relapse.